Who doesn't love vacation giveaways? We all need to that getaway vacation one time or another to relax and enjoy LIFE. Here's your chance to enter to win a 7-night stay in your choice of 3 incredible vacation rentals!! 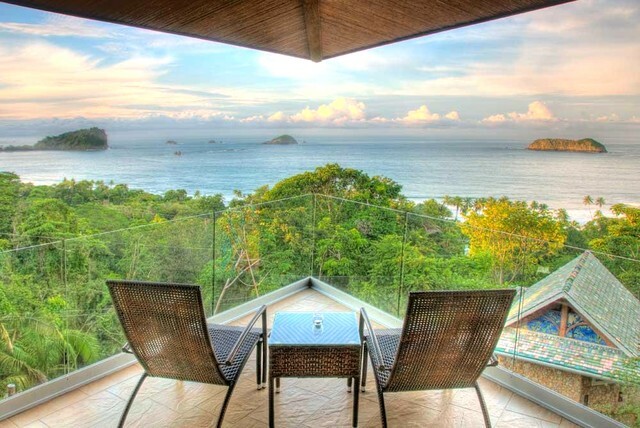 Grand Prize: A 7-night vacation in a luxury vacation rental in Bali, Costa Rica, or Tuscany. The vacation includes lodging and $3,000 for expenses. The winner can invite up to 10 friends to join them. Enter through our Facebook page (www.facebook.com/flipkey), or directly through the sweepstakes here. We’re offering a week in three epic vacation homes and inviting the winner to stay in their selected home with up to 10 friends. These luxury homes put 5-star hotels to shame with their attention to detail, amazing amenities and unbeatable locations. Pick your favorite for your chance to win the vacation of your dreams! Within driving distance of the "Best Golf Course in Asia," this Balinese villa puts luxury and convenience at your fingertips. The house is surrounded by a tropical walking garden, and the grounds come complete with a tennis court and both indoor and outdoor pools. Seeing is believing when it comes to the incredible panoramic views at Punto de Vista. This rainforest mansion overlooks a gorgeous golden-sand beach, and the local flora and fauna come right up to your door. Ten bedrooms provide enough space for you and your friends. This incredible estate in the beautiful Tuscan countryside can accommodate all your guests in comfortable suites that overlook impeccably landscaped grounds. Enjoy a private pool and roman baths, as well as a restaurant-grade kitchen where you can practice your favorite Italian dishes. The sweepstakes is completely FREE to enter. Simply go to FlipKey’s Facebook page and follow the prompts. Check out photos of all three prizes and then choose your favorite. The winner will be awarded their choice of the three prize packages! These prizes are awesome and they’re even better when you share them with your friends. Invite your friends on Facebook and you’ll get an extra entry for each friend who accepts your invitation and enters the contest as well. With over 150,000 vacation rentals around world, FlipKey makes it easy for you to enjoy the space, privacy and amenities of home wherever you go. 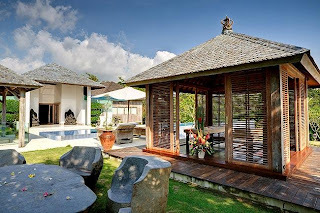 Whether traveling for a few days, a week, or even longer, rental homes provide exceptional value as compared to hotels. 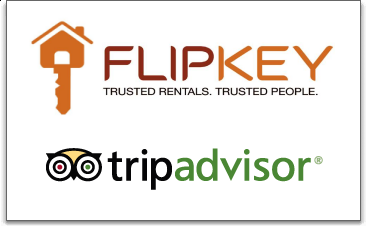 FlipKey’s comprehensive inventory of vacation rental properties, extensive verification processes, and easy-to-use website make it simple and safe to find the perfect vacation rental. Travelers can search FlipKey’s property listings and connect directly with rental property managers and owners for free. Travelers can also review property details including photos, rates and guest reviews to identify the best accommodations for their next vacation. Our dedication to providing a high-quality, valuable service has won widespread customer approval and media attention. 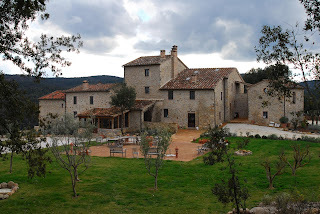 FlipKey has been named a “Top Vacation Rental Site” by Travel + Leisure Magazine in 2008 and 2009 and was ranked one of the top 10 travel websites for 2010 by the New York Post. Additionally, FlipKey has been mentioned across a wide variety of top tier media outlets including the Wall Street Journal, the New York Times, USA Today, MSNBC, SmartMoney, and theLA Times.